Whiteheads are type of acne which happens due to clogged pore and trapped dirt. These are more common on nose and chin. They are formed in a similar manner to blackheads, but look slightly whiter than them. Blackheads are dark and are caused due to oxygen exposure. People, who have overactive sebaceous glands or excess production of sebum, are more likely to develop whiteheads. This face wash is for all oily and acne prone skin. This comes with special cucumber extracts which softens your face with every wash. Make your skin feel suppler while the complexion improves as well. It provides the strong astringent action and makes your feel fresh. Apart from cucumber, it also has willow tree extracts which helps you exfoliate with beta hydroxy acids. The anti-microbial properties will reduce pimples, whitehead and blackheads. This is a facial face wash which has been specifically created for conditions of blackheads and whiteheads. This product is produced in Wild Ferns, New Zealand and is pretty popular for solving the condition. Apart from making your skin clearer it is also known to improve the complexion and bring back the youthful glow. It includes honey which soothe skin and add moisture to it. 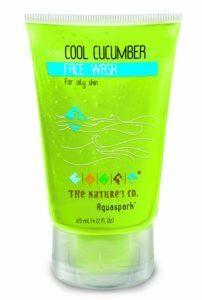 This face wash with neem extract is known to suit all types of skin. This reduces the pollution which gets stuck to our face every now-and-then. They reduce excess oil which aggravates acnes and whiteheads. Apart from neem, this also includes the goodness of tea tree oil and chamomile. Feel your skin get deeply cleansed with every wash and control oil secretion too. Neem provides anti-bacterial properties while tea tree oil reduces excess oil. Adding the essence of chamomile, it soothes the skin and makes it feels suppler. This is deep cleansing face wash which is known to unclog the pores and clear out the stubborn whiteheads. These are also known to prevent these to occur later and dissolve the impurities. Help your skin feel purfied while you refine its appearance. There are gentle beads in the face wash which exfoliate the dead skin and reveal a smoother touch. Refresh your skin and never feel it tight again! This is deep cleansing face wash which will make your skin feel flawless. This has been infused with ingredients which work instantly. Help your skin deeply cleanse and remove the dirt from the clogged pores. This is also known to revitalize the skin and make it feel smoother. There are layers of dead skin cells which make the face look fair and reduce conditions like dryness and dullness. Best New Exfoliating Cleanser- Works better than other facial cleansing care products, gels, creams, scrubs, polishes, washes and exfoliators! Reduce clogging of pores with removal of whitehead with this facial cleanser. It is also added with special chemicals to reduce scars from acnes. It is known to improve the texture and tone your skin in no time. It is also known to rejuvenate with the goodness of antioxidants present in the wash. Improve blood circulation and make your face look vibrant and younger.